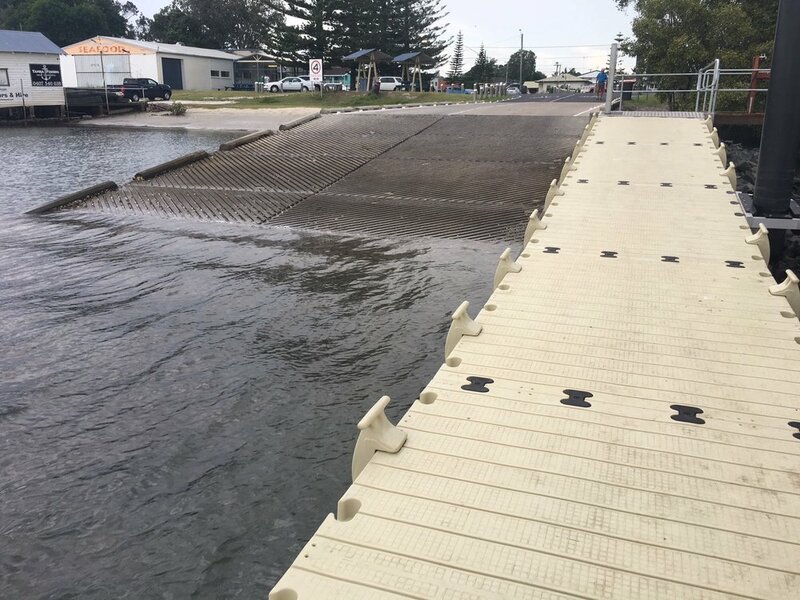 GPM has completed fabrication and installation of 16 new timber jetties with FRP decking as part of the major Tuncurry Point Road moorings upgrade. 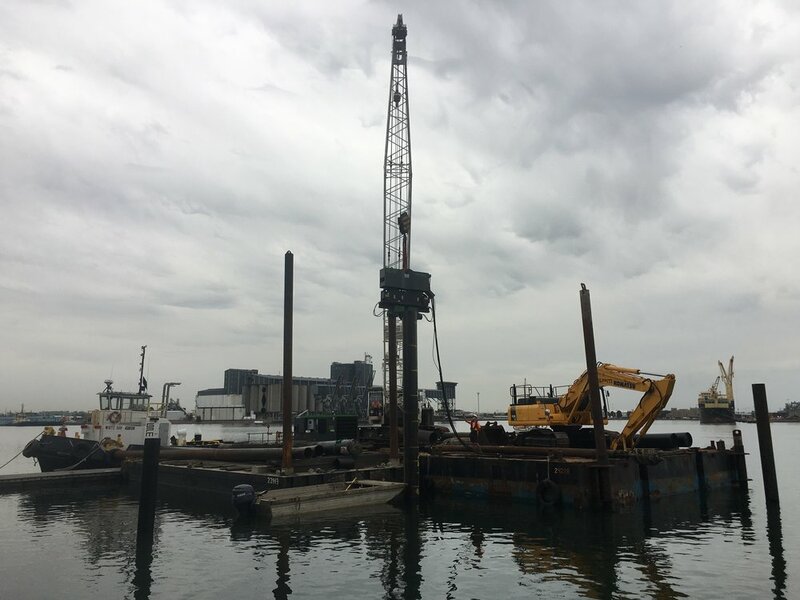 Demolition of existing timber piles is complete and piling now completed at Waterline Boathouse main wharf in preparation for construction of a new floating pontoon. Construction of new timber wharf is complete and Amaroo Cruises is back open for business in time for the busy Christmas holiday period. GPM has completed the clearing of excess sand deposits from Narrabeen Lagoon entrance. The removed material was used for much needed beach replenishment on Collaroy beach. 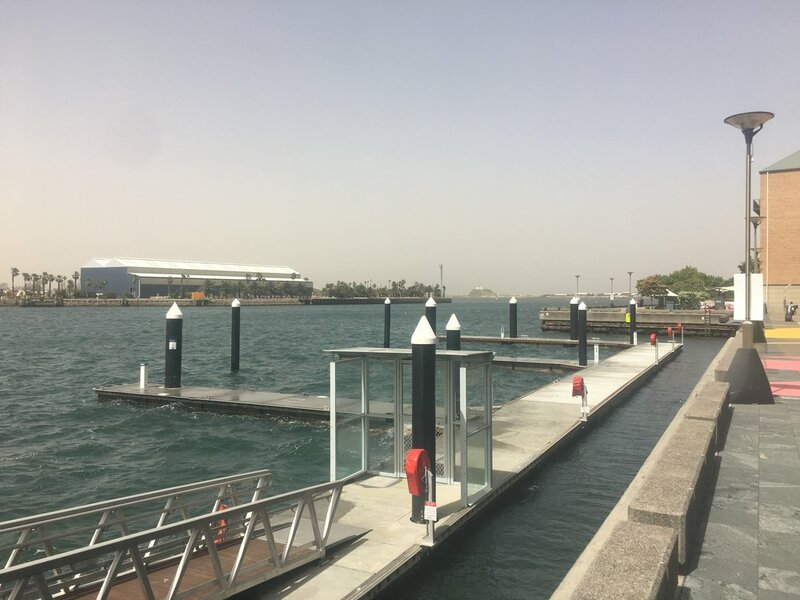 Demolition and replacement of Brooklyn Police Wharf is now complete including aluminium gangway, service pedestal and intelligent solar lighting providing a safer and functional berthing facility for Brooklyn Police operations. GPM has completed construction of a new boat ramp and extensive embankment stabilisation at North Sackville. A combination of precast panels and insitu concrete was used to construct the new boat ramp. Demolition of old timber jetty is now complete and new floating pontoon system has been installed allowing safer and more convenient access to veseels. 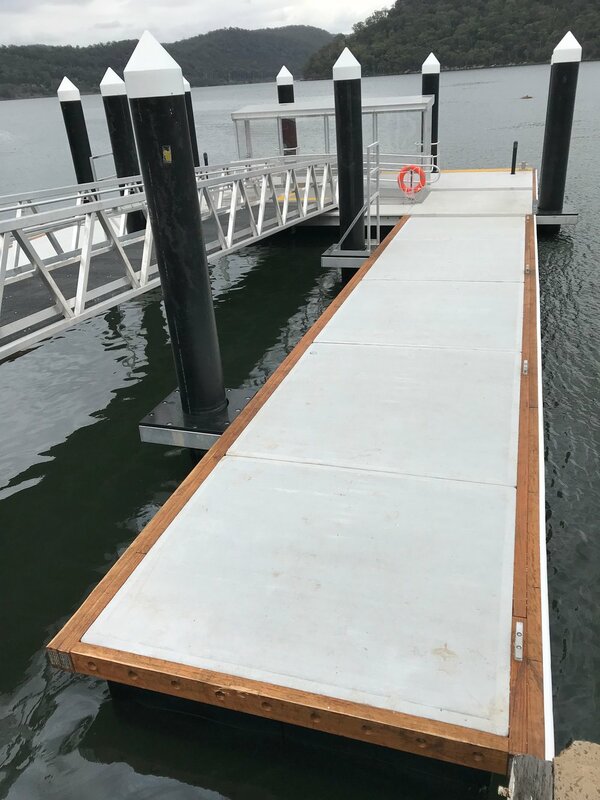 The new floating pontoon has been installed along side existing boat ramp featuring a new timber fish cleaning deck with fish cleaning table. The addition of overhead solar lights will make early morning launches safer and more enjoyable for visitors & the local community. 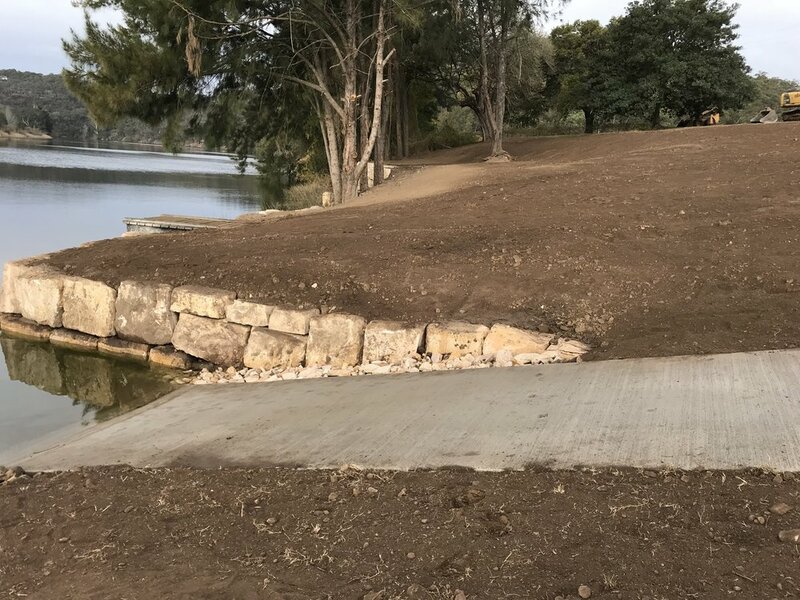 GPM Constructions has completed a major upgrade of Hickey Island boat ramp for Clarence Valley Shire Council. Works involved installation of new articulated pontoons, which rest on underlying concrete slabs at low tide. A welcome upgrade for a more safe & enjoyable boating experience for vistors & the local community. 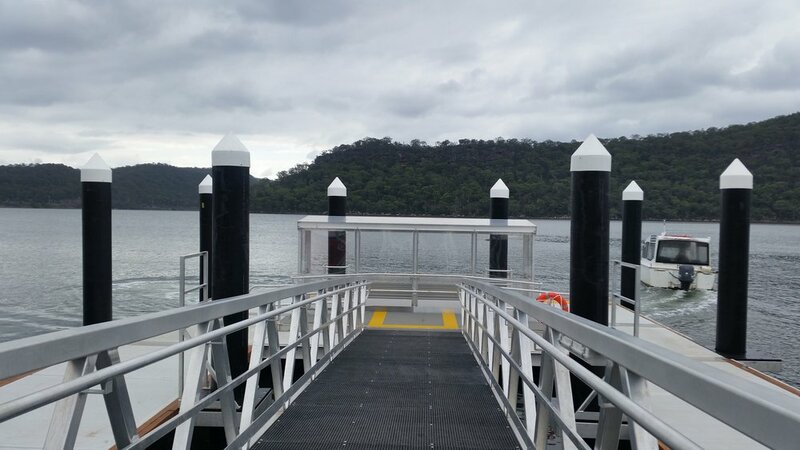 Design & Construct of the Dangar Island Wharf upgrade is now complete with minimal disruption to the active marine community of Dangar Island. Featuring an impressive concrete deck pontoon with two concrete temporary berthing pontoons allows for safer and more comfortable access to and from the island for the community and visitors. 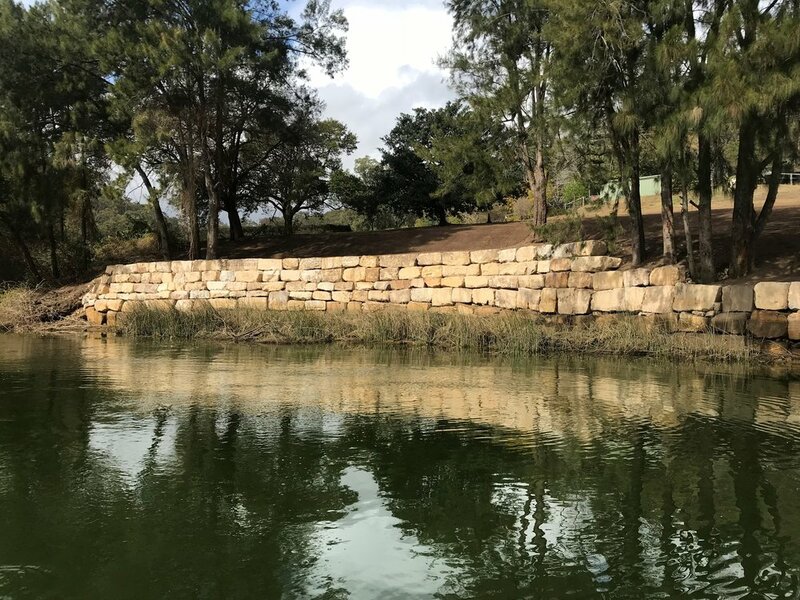 GPM has completed the replacement of the severely dilapidated floating concrete pontoon at Witonga. This challenging project involved GPM to integrate the new concrete pontoon system with existing timber piles and existing aluminium gangway. The project was completed with minimum impact to the community and is open for much safer public use. 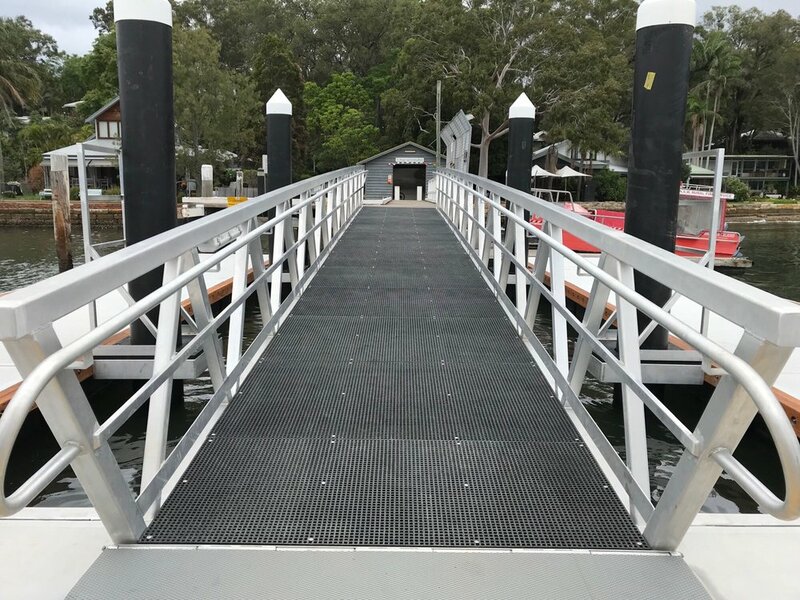 The Design & Construct of a new floating pontoon for Rocks Ferry Reserve on the Hastings River Wauchope for Port Macquarie-Hastings Council is now complete. It was identified by members of the Wauchope community that Rocks Ferry would greatly benefit from better waterway access by way of pontoon to suit the needs of the community. 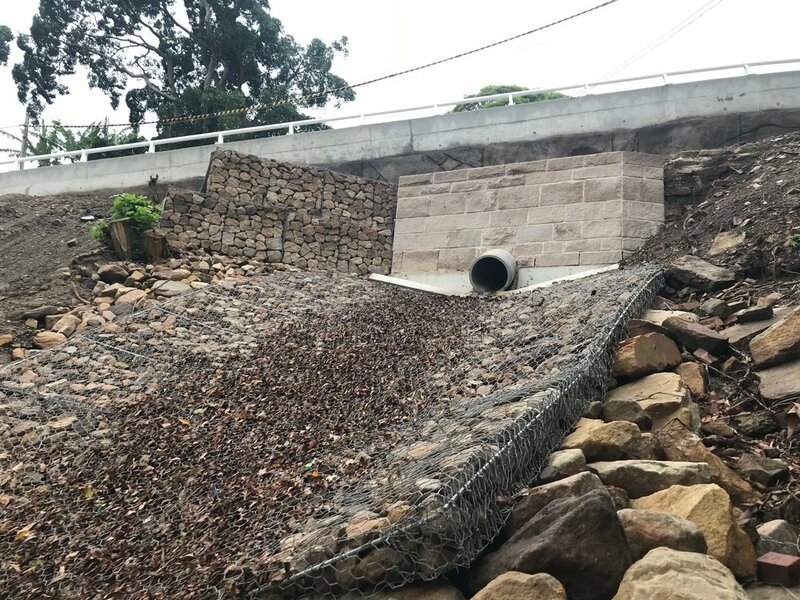 After a catastrophic failure of the Embankment and walkways at Cooper Park Woollahra GPM were contracted to stabilise two embankments with a series of Gabion fill baskets, Reno mattress and sandstone block walls. GPM imported tonnes of basalt and sandstone to stabilise this embankment within a tight construction timeframe to ensure no further embankment failures occurred. The main construction restraint on this project was access, all materials had to be brought in by either a series of conveyor belts or a custom made chute. 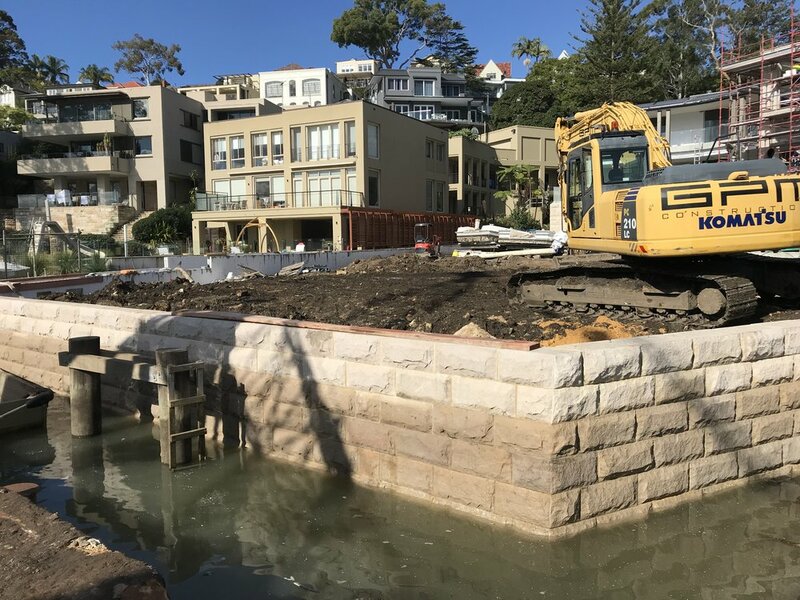 Appointed by Mosman Council, GPM completed the reconstruction of the seawalls and foreshore at Middle Harbour, Mosman. 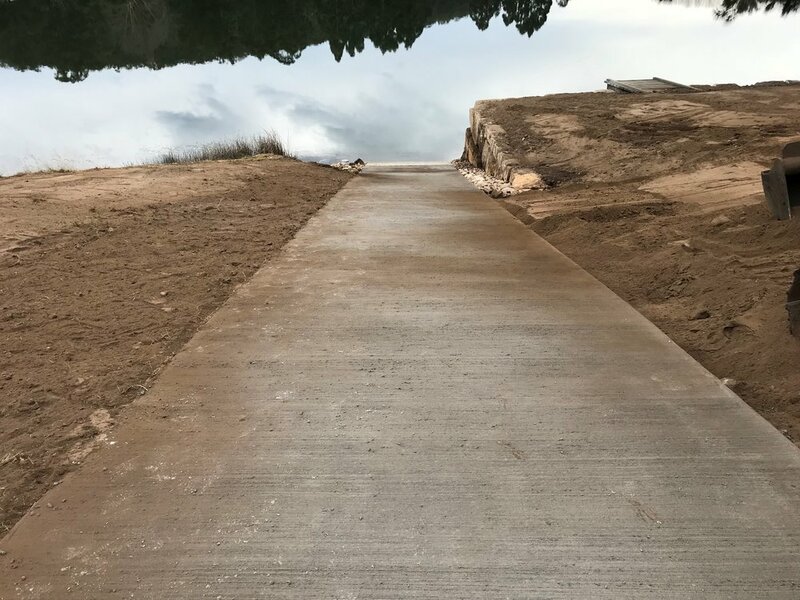 The project included the supply and installation of new diamond cut sandstone walls and bleaches, precast concrete footings and stairs, the renewal of the existing drainage and the supply and installation of a new timber boat ramp.